COME TO BEAUTIFUL BLACKSBURG, VIRGINIA THIS FALL AND RUN WITH THE HOKIES! The 7th Annual Hokie Half Marathon and 5K will take place Sunday, September 22, 2019. So come join us in September and earn your Hokie Bird finisher medal and some awesome race swag! The Hokie Half Marathon is the 7th race in the RunAbout Sports Race Series. You can register for the 2019 Hokie Half Marathon & 5k on this website or by mailing a hard copy form to RunAbout Sports. The Hokie Half Marathon is limited to 3000 participants and the Hokie 5K is limited to 1000 runners and walkers. Race Start Time: 7:00am for half marathon and 7:20am for 5K. Average temperature at start time: 56 degrees. Average temperature at 10am: 65 degrees. Hokie Half No-Frills Option – Only receive Hokie Bird Finisher Medal and finish line food. NO participant shirt or finisher shirt. Registration fees are NON-REFUNDABLE. We do allow the transfer of your bib number as long as it is done by September 7th, 2019. You can also defer your registration for one calendar year, but must email us (runaboutsports@gmail.com) at least 1 week before the event date (Sept. 15, 2019). Age Group Awards - Awards will be given to the top three male and female half-marathon finishers in each of the following age divisions: 15-18, 19-24, 25-29, 30-34, 35-39, 40-44, 45-49, 50-54, 55-59, 60-64, 65-69, 70-74, 75-over. Age group awards will be mailed once results are official. Half Marathon Finisher Awards – All finishers of the Half Marathon (including No-Frills option runners) will receive a Hokie Bird Half Marathon finishers medal. Hokie Bird medals will be given to the top three in male and female finishers in each of the following age groups: 8 & under, 9–12, 13–17, 18–23, 24–29, 30–34, 35–39, 40–44, 45–49, 50–54, 55–59, 60–64, 65–69, 70 & over. Age group awards will be mailed once results are official. Please allow 3-4 weeks for delivery. - There is very limited packet pick-up on race day - at bag drop off. - You are allowed to pick up a friend’s packet as long as you have a note from them to do so and a copy of a picture ID with their full name. The racing bib numbers will have a disposable timing chip and each bib will have the participant’s name or nickname on their bib. We will print your preferred name on the bib number exactly as it is written on the registration form. Race management will not allow anything deemed inappropriate to be printed. Registering past September 1st will not ensure that your name is printed on your bib. 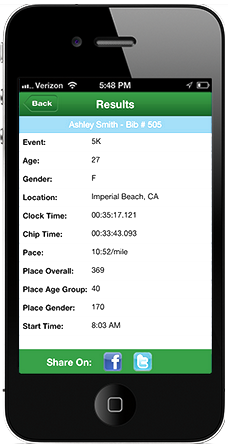 THE RACE NUMBER MUST BE WORN ON THE FRONT OF YOUR SHIRT AND NOT COVERED IN ANY WAY WHEN YOU FINISH. There will be a small expo at the University Mall (801 University City Blvd, Blacksburg) where packet pick up will also occur. The Expo will run from noon until 8pm, the same hours during which packets can be picked up. The Expo will have a wide range of merchandise for sale, including a variety of Virginia Tech gear and apparel and all things running! -	Beginning at 5:00am on race day, buses will shuttle athletes and spectators from Virginia Tech’s Chicken Hill parking – across from Lane Stadium – to the start/finish area. They will run every 10 minutes. -	Parking passes will be distributed at packet pick up. -	Please remember if you have a VT yearly parking pass you are NOT allowed to park here as it is for visitors. Parking lot B is about 1.5 miles from the start/finish area. -	If you are dropping off a runner, you can drop them off at the Virginia Tech Airport. It is directly across from the start/finish area. Please follow all directional signs when dropping off. The VT Airport is also the location buses will be dropping off and picking up athletes and spectators. Please remember the Hokie Half Marathon has a four hour time limit for participants. The course will close at 4 hours (about 18:20 pace per mile). Those who did not finish within the four hour cut-off can still participate in the post race food and festivities, however we will not give out any finisher awards to those who did not finish on time and course support may not be available after 11:00am. The 2019 course will be the same as 2018 except an adjustment to the start/ finish area. The course is certified by USATF.